Many ailments can be traced back to spinal issues, from back pain to headaches and even, in some cases, hearing issues. The first documented case of chiropractic care dates back to 1895 when a patient named Harvey Lillard sought a cure for his hearing loss in one ear. He visited a doctor named D.D. Palmer, who noticed during the examination that a vertebra in Lillard’s upper back was out of alignment and pressing on the nerves leading to his ear. Dr. Palmer made an adjustment to the vertebra and hearing to Lillard’s ear was (allegedly) restored instantly. Since many systems in the body are connected and affected by nerves in the back and spine, it makes sense that a spinal manipulation could provide relief for a hearing problem. According to a study published in the journal Chiropractic & Osteopathy, 15 patients diagnosed with significant hearing loss were treated for their condition with a spinal adjustment. Seven showed improvement, two experienced no change and six patients had their hearing completely restored. There is speculation among experts that spinal manipulation creates a response in the central nervous system that can help provide relief for a number of physical ailments related to the ear, including hearing loss, vertigo and tinnitus. 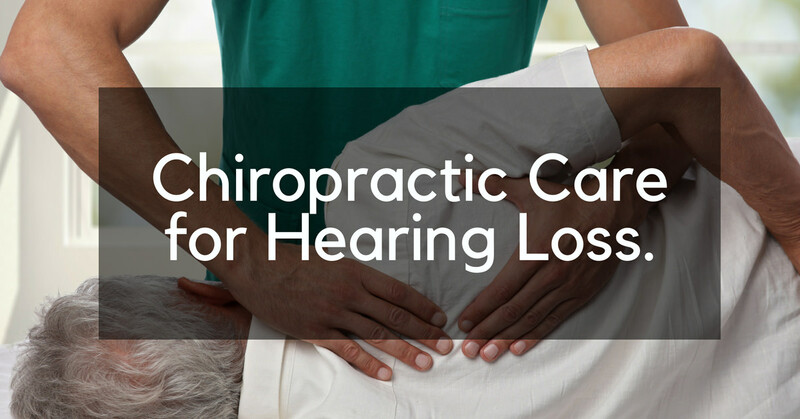 To be clear, chiropractic care is not a cure for deafness, but in certain cases it can help provide relief and partially restore hearing in patients if the root cause of their hearing loss is due to a spinal issue. If you are experiencing hearing problems and think that it may be an issue that could potentially be addressed with a spinal manipulation, give Dr. Cait a call today at 207-699-2622 to schedule an appointment.